Hyderabad: Global software giant Microsoft Corp., which last fortnight made available Microsoft BizTalk RFID—a device management and event-processing platform for radio frequency identification (RFID) and sensor solutions, is upbeat on the skyrocketing business opportunities for RFID products across the globe. RFID already is being used to some extent in several business sectors, including manufacturing, health care, transportation, defence, retail, and agriculture, said Srini Koppolu, corporate vice-president of Microsoft India Development Center (MSIDC) . The market potential is huge, he added. IDTechEx Ltd, the Cambridge, UK-based consultancy company providing research and analysis, predicts the RFID market for tags, systems and services would grow as high as $24.64 billion (Rs99,299 crore) by 2015, from an estimated $1.85 billion in 2005. The Microsoft BizTalk Server 2006 R2, Microsoft’s core service-oriented architecture (SOA) and business process management (BPM) technology, was completely developed at MSIDC in Hyderabad, Koppolu said. Pointing out that many organizations today rely heavily on manual processes or barcode scanning to track goods, he said Microsoft BizTalk would enable these users to have compatibility with both barcodes and RFID tags. 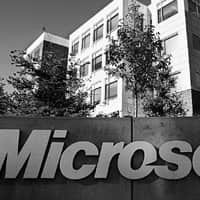 At a tech briefing on BizTalk RFID at the MSIDC campus on Wednesday, Koppolu said Microsoft has been working with more than 100 customers and about 20 hardware partners on the product even before it was launched.